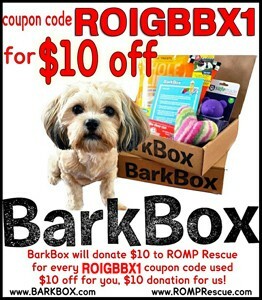 Please purchase from these affiliates and use the special code or note you would like ROMP Rescue to receive a donation on your behalf for your purchase! 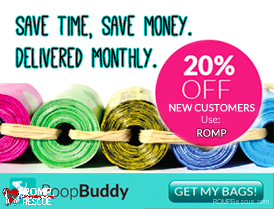 Buy poop bags from PoopBuddy http://www.poopbuddy.com/ and use coupon code ‘ROMP’ to get 20% off AND we get a referral donation! Purchase trendy apparel at www.resqthreads.com and select ROMP Italian Greyhound Rescue as your beneficiary at checkout, we will received 20-35% of every purchase! For every item (including dog food & dog treats) ordered with this link from Dog for Dog (they make high quality pet food & treats), they will donate the SAME ITEM to our rescue to feed & treat our pups: http://www.dogfordog.com/shop#oid=1035_2 They have high quality grain free food too!! Raise money for us just by searching the Internet at www.Goodsearch.com (powered by Yahoo), shopping online at www.Goodshop.com or dining at a restaurant in the www.Gooddining.com network.